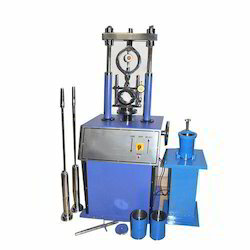 Leading Manufacturer of bitumen extractor, ductility testing apparatus, universal penetrometer, saybolt viscometer, pensky martin apparatus and mastic asphalt hardness tester from New Delhi. We are a leading company employing expert professionals who create and design Bitumen Extractors, which is fabricated by making use of high quality ensured components. Due to its high functionality, it is widely acclaimed as the most dependable extractors. 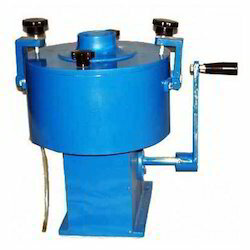 This Centrifuge Bitumen Extractor offers optimum performance and enhanced resistance in rugged conditions and these products are widely used in highway departments, contractors, engineers and testing laboratories. Moreover, these ranges of products are used for varied applications such as sampling, flow cups and ductility. 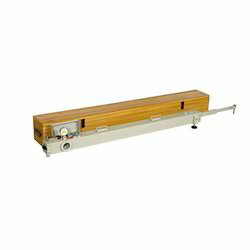 We supply a vast spectrum of Ductility Testing Apparatus to our clients across the nation. 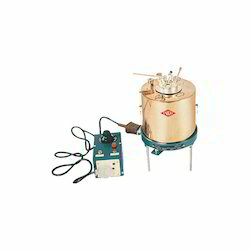 It is an apparatus utilized for the measurement of ductility of distillation residue. The ductility is measured as a distance in cms, to which a standard briquette of bitumen is stretched before the thread breaks. 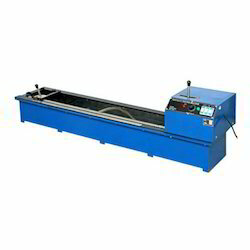 Also, the ductility Testing machine is used to check the ductility of bitumen, blown type bitumen and other types of bituminous products. Moreover, in order to provide maximum functioning, these equipments are precision engineered in strict compliance with advanced technical developments. 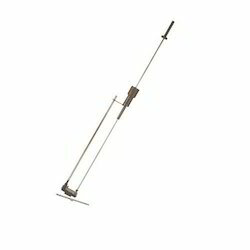 Provided to the customers is superior quality Universal Penetrometer as per their specific requirements. These penetrometers are manufactured in compliance with the industry laid standards, at our sophisticated infrastructure. In addition to this, we can customise these products exactly as per the details mentioned by the esteemed patrons. 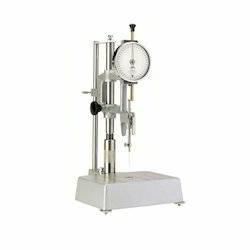 Saybolt Viscometer offered are designed as per defined industry specifications using superior grade stainless steel finish. 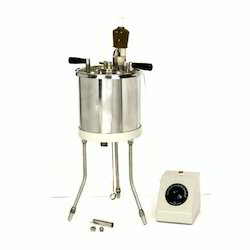 With stirring done using hand and using turn table arrangement, these suitably work on 220 Volts AC mains and comprises stainless steel bath with oil cup that comes centrally placed in water bath. The bath features lid containing water cooling tube as well as two handles with two stirrer blades, a thermometer socket, straight heater and other working provisions. Pensky Martin offered comprise Flash Point Apparatus that finds wide application in determining closed cup Flash Point of Cut Back asphalts, Fuel Oil as well as other viscous materials as well as suspension of solids that have flash point of around 490F. these come supplied with oil cup cover that comes fitted with S.S. water bath, stirrer thermometer socket, stand and electric heaters. We can also make these available in different forms as demanded by the clients. 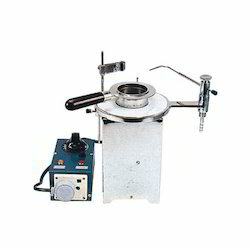 Mastic Asphalt Hardness Tester offered that find application for determining hardness of asphalt material with design features comprising direct vertical loading as well as loading weights that are rested on thrust bearing, thus ensuring load is applied to specimen without getting the load transmitted to loading columns. These also allow penetration depth of pin to be read from dial gauge to high accuracy standards. Offered by us is high quality Flash and Fire-point to the esteemed customers at highly competitive prices. These products are designed as per the industrial requirements by our team of highly talented & skilled professionals. Our esteemed patrons can avail the facility of customisation from us, which helps us in attaining their maximum level of satisfaction. Dynamic cone penetrometers offered are simple & robust instruments that find application for achieving quick in-situ measurements of structural properties of road pavement. Providing for fast as well as efficient method of gaining information, the heads come fitted with two speed elevating mechanism that provides for quick as well as precise positioning of penetration tips. These also come with tripod stands with built in ladder backed by pulley arrangements. Cloud Four point apparatus comprises devices that are designed for indicating lowest temperature of utility for petroleum based products. The apparatus chamber immerse four copper test jackets that finds suitability for freezing mixtures as well as for providing inlet & outlet connections for requirement of refrigerated coolant circulation from external source. 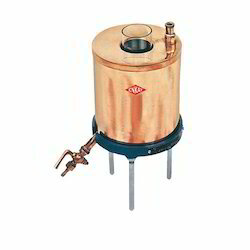 Further, for durable finish the apparatus comes with steel exterior housing along with copper interior that provides for corrosion resistant finish. 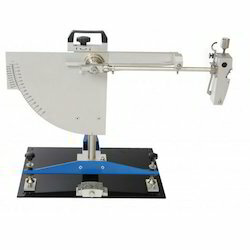 Benkelman Beam Device offered comprises simple lever arm device that assists in measuring deflection of flexible pavements under action of loads on moving wheels. Here, the probe beam is supported through rigid reference beam that allow deflections in its probe end measured through dial indicator present on other side. The gained deflections that are measured on dial indicator are then doubled to achieving pavement deflection. Accelerated Polishing Machine offered are used to test polishing of aggregates that find usage in road surfaces and relative skid resistance. The tests assist in determining polished stone value(PSV) and provide for complete precision, repeatability as well as reproducibility, which makes these the preferred apparatus choice of the customers. These also come with inverter drive to achieve precise speed control as well as digital display preset timer as well as revolution counter so as to achieve high precision in test operations. Abel Flash Point offered finds application in determining closed cup flash point of petroleum products as well as their mixtures. Further, these also provide assistance in measuring others liquids having flash point below 700C. 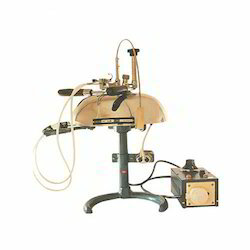 The apparatus comprises outer jacket of water bath coming fitted with stand as well as oil cup, thermometer socket water bath, cover fitted with stirrer. Other than this, the apparatus also features electric heater fitted at bottom that operates on 220 Volts AC power. Being a highly effective, lean and fast-moving organization, we are highly instrumental in providing an extensive array of Automatic Bitumen Compactor. 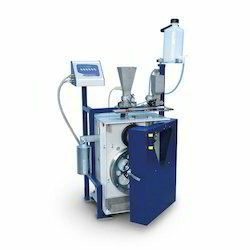 Widely used for determining the susceptibility of hot mix asphalt, provided compactor is designed using the finest quality components and sophisticated technology to give even degree of compaction. The rammer foot is removable which facilitates preheating; this compactor is tested by our quality controllers on various parameters. 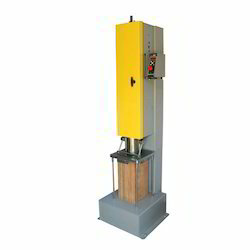 Pendulum Skid Tester offered find application in meeting the measurement needs of surface friction properties and features precision designed low friction release mechanism holding the pendulum arm that provides for achieving optimum accuracy in gained results. The light finish of the pointers also supports the demands of achieving high precision results. These are highly preferred in the market for achieving optimum end results. 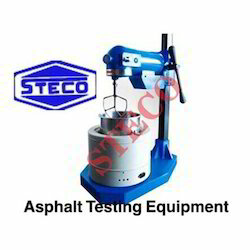 With the support of our wide distribution network, we have been able to offer superior quality Asphalt Testing Equipment to the customers. The equipment offered by us is manufactured using high-grade basic material and other components that are procured from some of the most trusted vendors of the industry. After stringently checking these products, we ensure their timely delivery at the clients’ end. 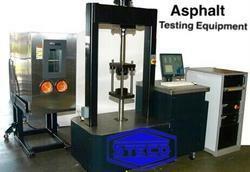 We are offering Asphalt Testing Equipment to our clients. 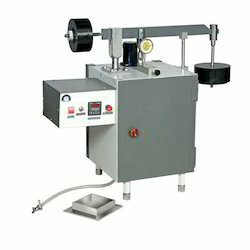 Looking for Asphalt & Bitumen Testing Equipment ?